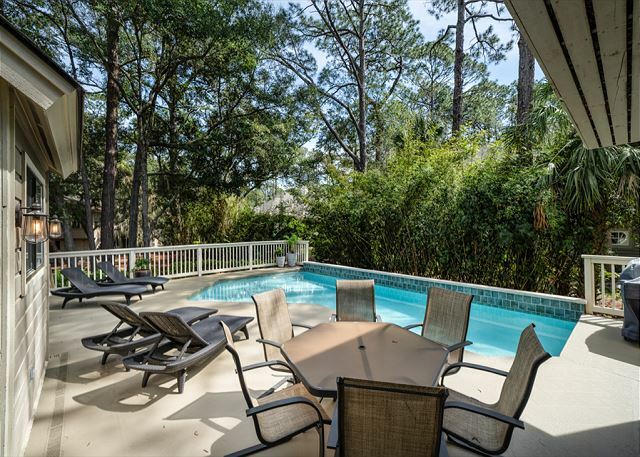 Welcome to the NEW BESTNEST at 29 South Beach Lane in Sea Pines. Our philosophy is that your vacation experience should be completely comfortable and consistently amazing. Top of the list is CLEAN and we mean CLEAN in all caps! Cleanliness is one of our hallmarks and we take clean seriously. 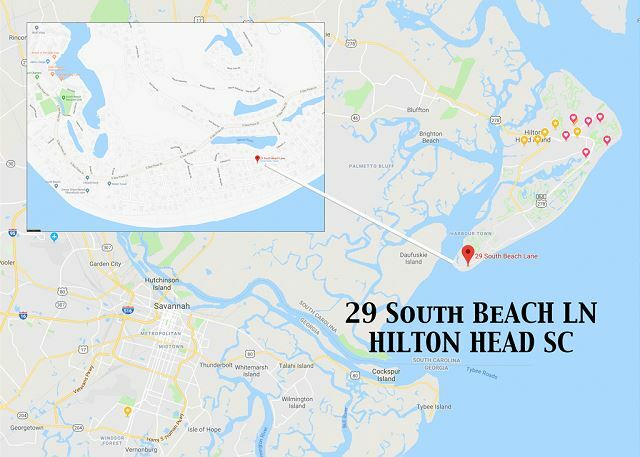 29 South Beach Lane is open and bright and filled with every amenity that we appreciate when we vacation. A spacious living room with big LED TV/Netflix is fully open to all common areas, and looks over the tranquil pool. Adjacent you will find a pocket bar area- great for entertaining or casual buffet. Four bedrooms (Master with King, Guest King, Guest with Queen, and guest with Double/Twin bunk) each boast the comfiest bed linens we could find, with fluffy pillows as well as LCD TV/Netflix in each room. 4 Full baths have all been renovated and are sparkling clean. 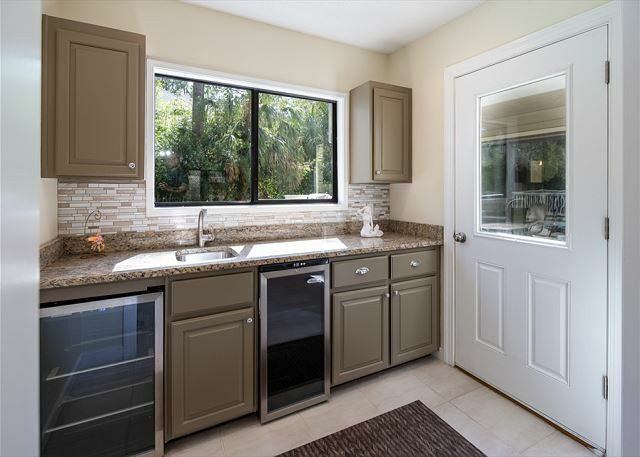 Outdoors you will find a private, heatable pool and sun deck, gas grill and garage. HOW FAR TO BEACH: Step off the patio and onto the beachwalk path-- less than 5 minutes walk and your toes are in the surf. BEACH CLUB ACCESS/PARKING Onsite parking AT the Beach Club is permitted for all overnight guests, Labor Day-mid March. From Mid March through end of summer, special Beach Trolleys transport guests from various parking spots within Sea Pines to the Beach Club. Full details will be provided at time of your reservation, or simply inquire for more information. POOL HEAT: Heatable with propane. Please inquire for cost, which varies by season. WHAT’S INCLUDED: Your property will come stocked with all of the household amenities you will need for the duration of your stay, including trash bags, dish soaps, perfume free laundry products, paper towels, bath tissues, hand and bar soaps, even coffee supplies. We also stock beach toys, beach chairs and umbrellas. All you have to do is come and enjoy. ABOUT SEA PINES: Sea Pines is a truly special residential resort community offering a myriad of activities: world class golf & tennis, water sports, dolphin watching, 14 mi of biking & leisure trails, 5 mi of wide sand beach, 2 great marina villages (South Beach & Harbour Town), Lawton Stables with trails, pony rides and petting zoo, a 600 acre Forest Preserve with picnic and fishing areas, eco tours, shopping and dining, fitness center, and more! Whew! Or you can just sit under an umbrella or by the pool and read a good book. It is important to us when we travel that we are completely comfortable and we know you must feel the same!